The total value of Pavel Durov’s new cryptocurrency, Gram, may reach around $30 mio by the end of this year, The Bell reports. This is similar to the capitalization of Norilsk Nickel, one of Russia’s major mining companies. According to HASH CryptoInvestmentBank experts, the target value of the new cryptocurrency is $5.9. The issuer is to issue 5 bio Grams. The first Gram will cost only 10 cents while every other Gram will cost one-billionth part more than the previous Gram thus increasing the cryptocurrency’s price ten-fold by the end of the year. Earlier, Durov’s company Telegram conducted a closed ICO during which it raised $1.7 bio for creating the TON blockchain platform. It will serve as a basis for a new digital currency. Gramis expected to be launched as soon as March unless the launch is postponed once again. If the blockchain platform is not launched by October, Durov will have to repay money to the ICO investors. 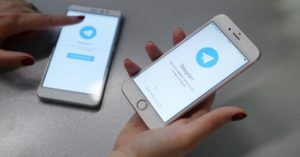 Telegram’s massive user base (over 200 mio) is considered to be the new project’s important advantage.